The Pro Football Hall of Fame in Canton, Ohio pays homage to the game's most iconic and celebrated heroes; Thorpe, Rockne, Brown, Payton, Heffelfinger and Mason...wait...Heffelfinger and Mason? Few football fans have ever heard of either, and yet, no exhibit in the Hall bring more clarity to the roots of American professional football than the relics of Pudge Heffelfinger and Harry Mason, two of the first professionals. 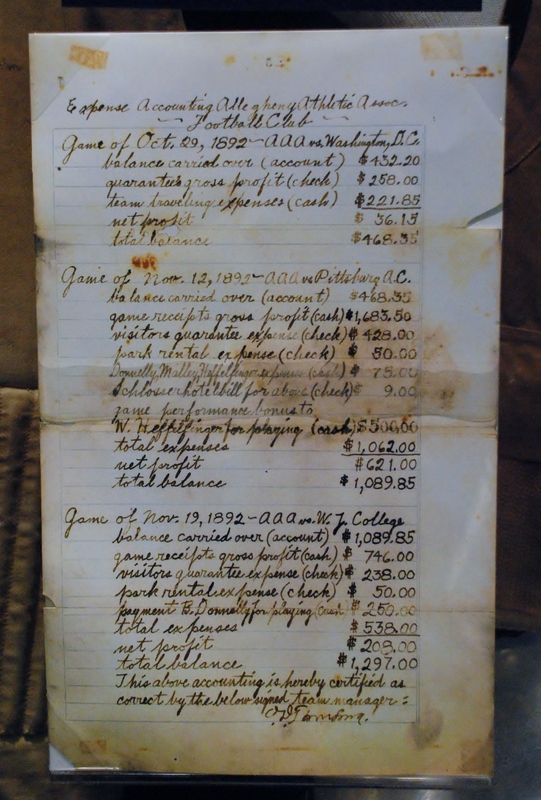 The featured artifact in "The NFL's First Century" exhibit, an 1892 accounting ledger from the Allegheny Athletic Association, is the earliest known document acknowleding the existence of a paid professional football player. 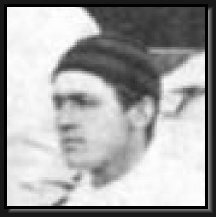 The ledger lists a payment of $500.00 to William "Pudge" Heffelfinger, a three-time Yale All-American, for playing against the Pittsburg (sic) Athletic Club on November 12, 1892. O'Rourke's plan was for the "local" All-New York Football Association team to smash two weaker opponents in front of large hometown crowds and then defeat New Jersey's Orange Athletic Club for the world championship. Unfortunately for O'Rourke he underestimated Syracuse's imported eleven who defeated the heavily favored All-New York team 5-0 in the tournament's opening match. Syracuse would go on to roll over the Knickerbocker Athletic Club (36-0) and the Orange Athletic Club (36-0) to take the World Champions title (Coffin Corner). Draper and Bottger were the stars of the tournament, accounting for most of Syracuse's points. 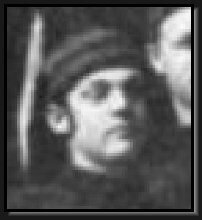 Harry Mason, was hardly mentioned in contemporary accounts of the games but did make the boxscore with a touchdown in the final game of the tournament. 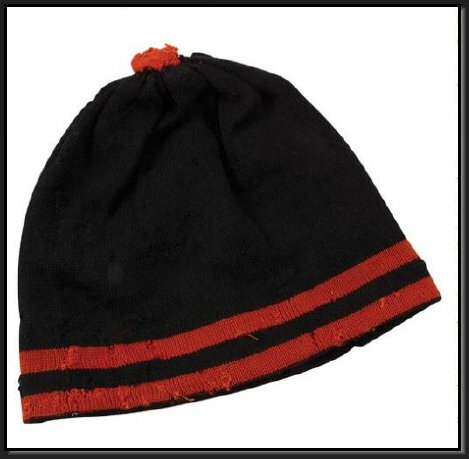 To the left of the ledger rests another remarkable relic from pro football's infancy, the earliest known uniform worn in a professional football game. 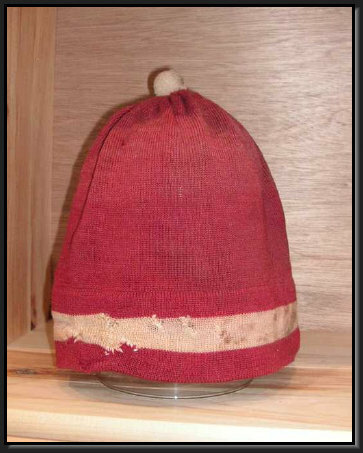 The "union suit" was worn by Harry J. Mason in the "World Series of Football," an indoor football tournament held at Madison Square Garden from December 29, 1902 to January 2, 1903. "The World Series of Football" was the brainchild of Tom O'Rourke, Madison Square Garden's manager and promoter. 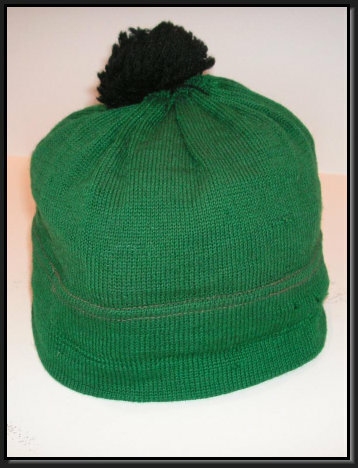 O'Rourke's concept was to crown the first "World Champion of Football" out of the best college and club teams in the country, and, more importantly for him, to fill the Garden with paying customers. From the start, O'Rourke had difficulties attracting teams to play in the tournament. The country's top college teams, yielding to pressure from the Amateur Athletic Association not to compete in professional contests, declined the invitation. 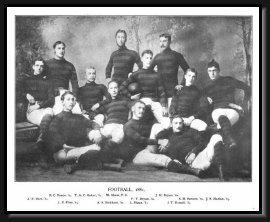 Several of the top professional teams were also unable to participate, having recently disbanded after the failure of the first "National Football League", a three-team Pennsylvania league that didn't survive its inaugural 1902 season. The four teams that committed to play in the tournament, the Knickerbocker Athletic Club, the Orange Athletic Club, the Syracuse Athletic Club, and the Warslow Athletic Club hardly represented the best teams in the country. In a desperate attempt to drive attendance and give the "home town" a national champion, O'Rourke formed an "All-New York" team, stacked with former National Football League ringers from Philadelphia and Pittsburg. Not to be outdone, the Syracuse Athletic Club brought in ringers of its own, including brothers Bill and Glenn "Pop" Warner, the famed college coach who was then coach of the Carlisle Indian School. Syracuse's hired guns also included the entire backfield from one of their chief rivals, the Watertown Red and Black, Phil Draper (former All-American at Williams College), Billy Bottger (former All-American at Princeton), and a relatively unknown fullback named Harry Mason. 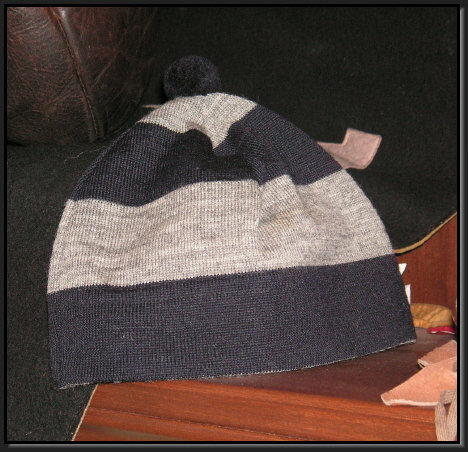 In the early 1980's, a man in his seventies named Julian Mason contacted the Pro Football Hall of Fame and offered to donate the uniform worn by his father, Harry Julian Mason, in the 1902 World Series of Football. As the starting fullback for the "World Champion" Syracuse Athletic Club, Harry Mason surely must have had a distinquished collegiate and professional football career. But you won't find Mason's stats in any record book or his photograph in a museum, and you'll struggle to find any mention of his exploits on the gridiron in any historical newspaper. When Julian passed away in 1991, any memories Harry may have shared of his life and playing career were lost forever. But for the Hall of Fame, it's not who Mason was that is important, it's who he represents. So, why is Harry Mason's uniform displayed so prominently in the Hall of Fame? 1900 Federal Census, June 5, 1900, Chautaugua, N.Y.
Gordon's salary proposal of $15 per week was double the weekly wage of the average American in 1897. 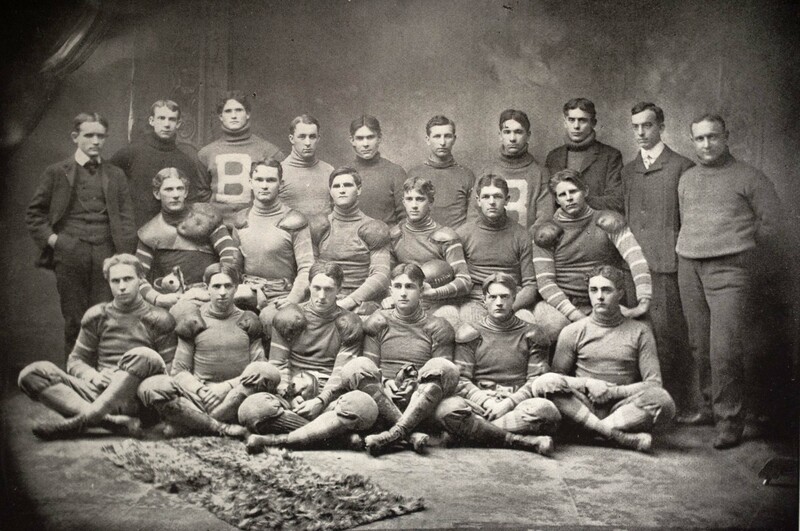 Caught in a scandal, Porter claimed that Gordon mistakenly sent the letter to him in his capacity as the secretary of the Buffalo University Football Club and that the arrangements were actually for Gordon's participation with the semi-pro Buffalo Athletic Club eleven, which Porter had managed earlier in 1897. This explanation, however, didn't explain why Gordon went on to play for Porter at the University of Buffalo the remainder of 1897. 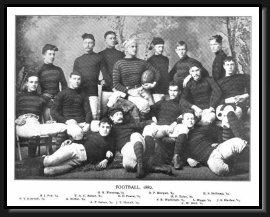 In 1898, the University of Buffalo was denied entry into the New York State Intercollegiate Athletic Association due to the belief that “Buffalo’s football team is considered generally to be as much of an out-and-out professional team as any in the country representing an educational institution” (Hollander, 2012). Mason was a shop laborer in 1900. Mason was 24 years old in 1901. It is unlikely that Mason was pursuing a career in law, pharmacy, or dentistry, the only majors offered by the university. Mason's name does not appear in the University of Buffalo's yearbook as a student or player any year between 1897 and 1902. 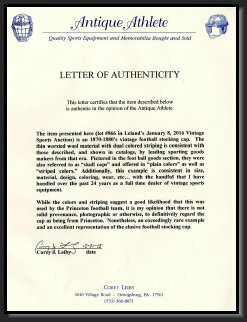 Gordon had personal experience in blurring the line between professional and amateur athletics. Born to Dutch working-class immigrants on July 4, 1877, Harry Julian Mason grew up in Warren, Pennsylvania, an oil town 70 miles northeast of Pittsburgh. In 1895, at the age of 18, he joined the Pennsylvania National Guard. In 1898, he fought with the Regular Pennsylvania Volunteers in the Battle of Coamo, Puerto Rico, during the Spanish-American War and was discharged from the Guard on December 28, 1898. Although there is no record of Mason playing football during his years with the National Guard, it's likely he did. Numerous athletic clubs and colleges in western Pennsylvania and New York regularly played games against local National Guard companies at the end of the nineteenth century. According to the Federal Census, Mason was living as a "lodger" in Chautaugua, New York, 50 miles southwest of Buffalo and working as a shop laborer in 1900. In a remarkable life change for a shop laborer, Harry Mason next appears in 1901 as the 24-year old starting fullback for the University of Buffalo, a school with three departments: Pharmacy, Dentistry, and Law. Harry Mason epitomized the turn-of-the-century professional football player; a working class journeyman athlete playing on behalf of local club and college teams in hopes of earning extra money and elevating his social status. As America entered the second half the nineteenth century, technological advances of the Industrial Revolution led to two remarkable new by-products; more leisure time and more disposable income. Athletic clubs and associations, founded under the principle of promoting amateur athletics, became popular places for men to spend both. In addition to providing entertainment in the form of athletic competition, the clubs afforded members the opportunity to network and climb social ladders. Fierce competition for members between local associations grew into intra-club rivalries in athletics. Clubs with the best teams attracted more members and earned more revenue. Understandably, athletes became very popular potential members. To persuade athletes to join without violating the club's "amateur ideals," many clubs would pay excessive player training and travel expenses or award players "trophies" that could be easily pawned and sold for cash after the game (Peterson, 1997). By the late nineteenth century, accusations of "professionalism," or players being compensated, at the athletic association and college level were rampant. Fueled higher by unfettered gambling between supporters, it was common for players to inexplicably change teams mid-season or for an unnamed player to suddenly appear on a club or university varsity roster just before a big game. It is doubtful that Heffelfinger was the first football player to be compensated, but the ledger is the earliest known acknowledgement of turn-of-the-century football's worst kept secret; some players were being paid to play.